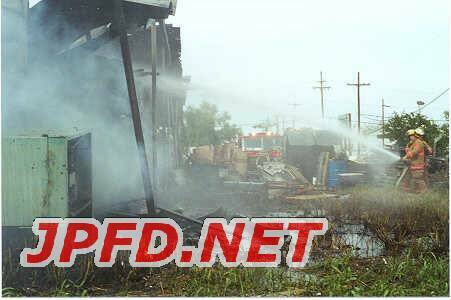 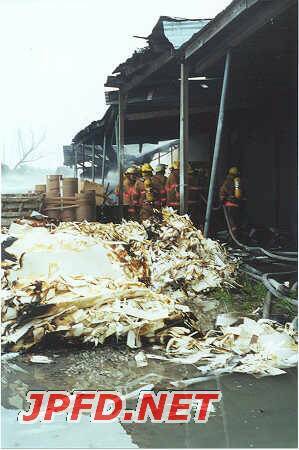 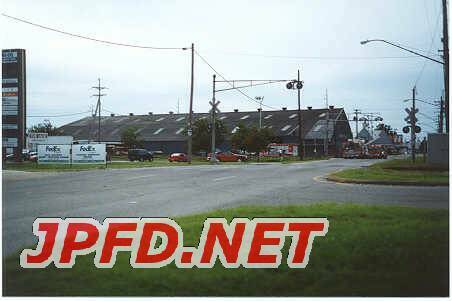 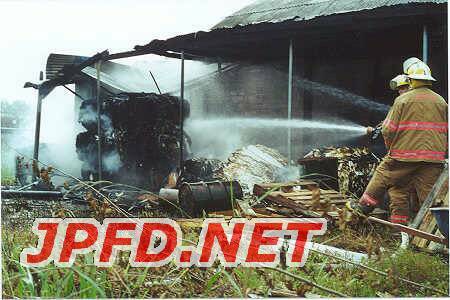 Around 3:30pm on Monday October 9th,2000, firefighters responded to reports of a fire at Acme Box Company on Jefferson Highway. 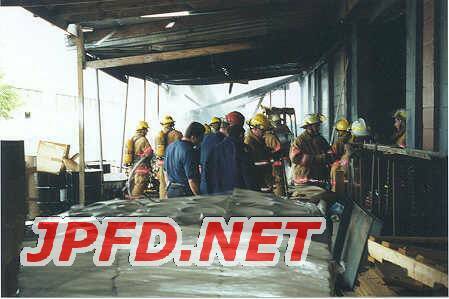 Engine 128, the first in unit, reported a working fire. 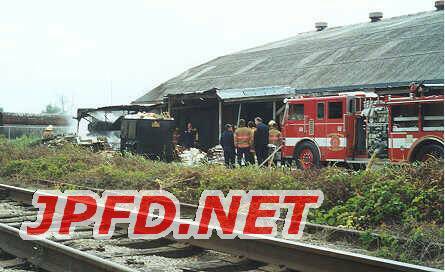 Squad 159 rolled to the scene at this time. 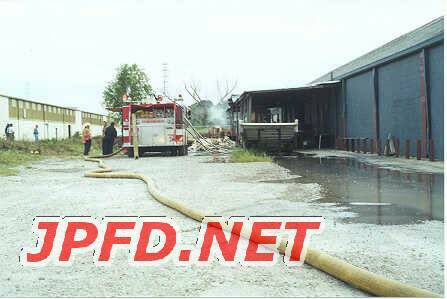 Although the fire (several large piles of bundles of boxes and papers) seemed to be spreading onto the building, crews quickly contained the blaze with two main lines and one forklift (to move the smoldering piles in order to extinguish hot spots). 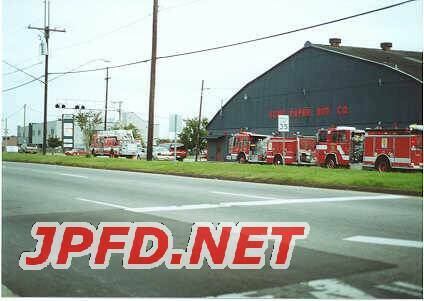 1st Alarm: E118, E128, E198, L117, DC140 (B) Working Fire Dispatch: S159 On Scene: P.I.O.